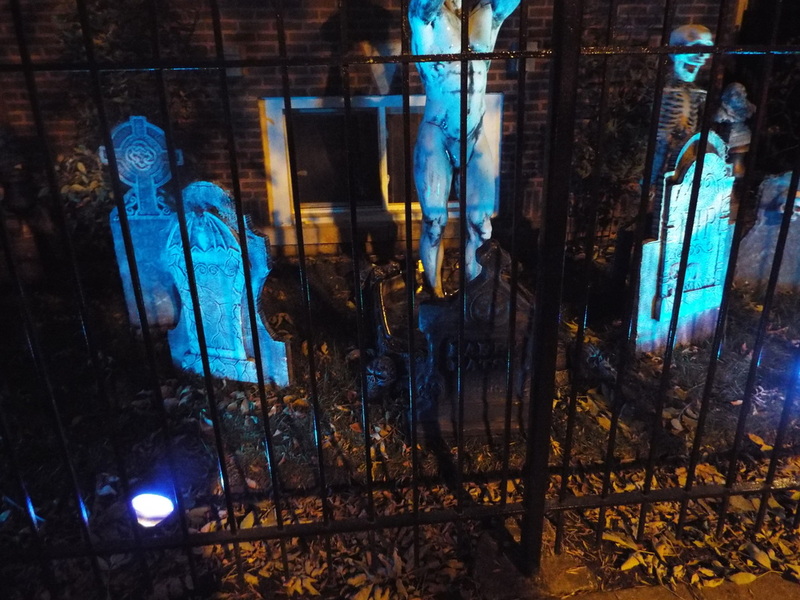 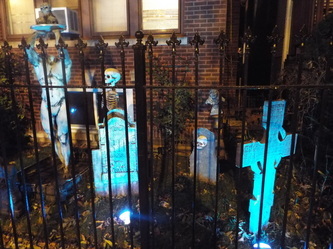 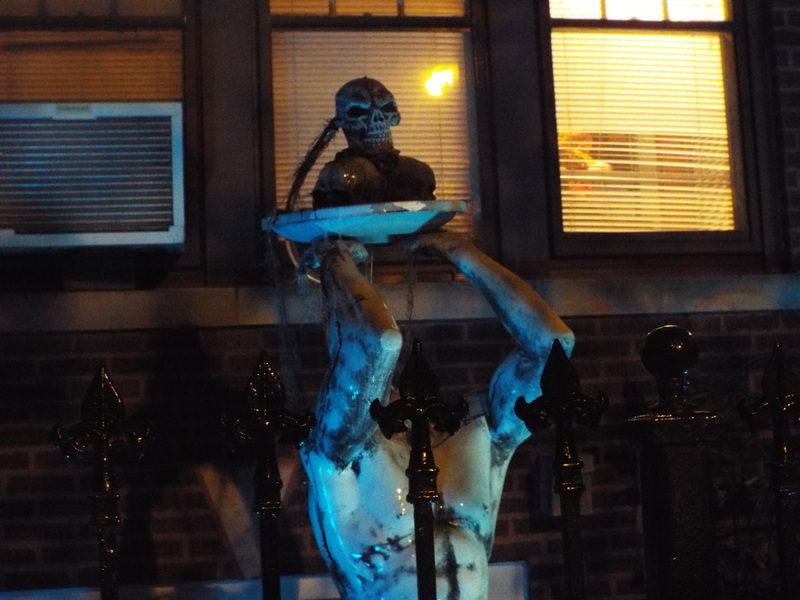 Logan Scare Manor is a yard display on the north side of Chicago. 2013 marked the first visit by the Tourers and, unfortunately, there was not a lot to see. However, given the lack of actual space, as is common on the north side of the city, the display did manage to take advantage of what little space there was. 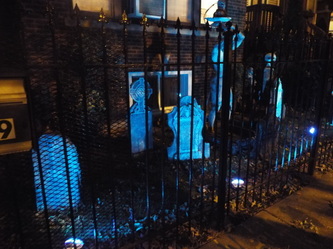 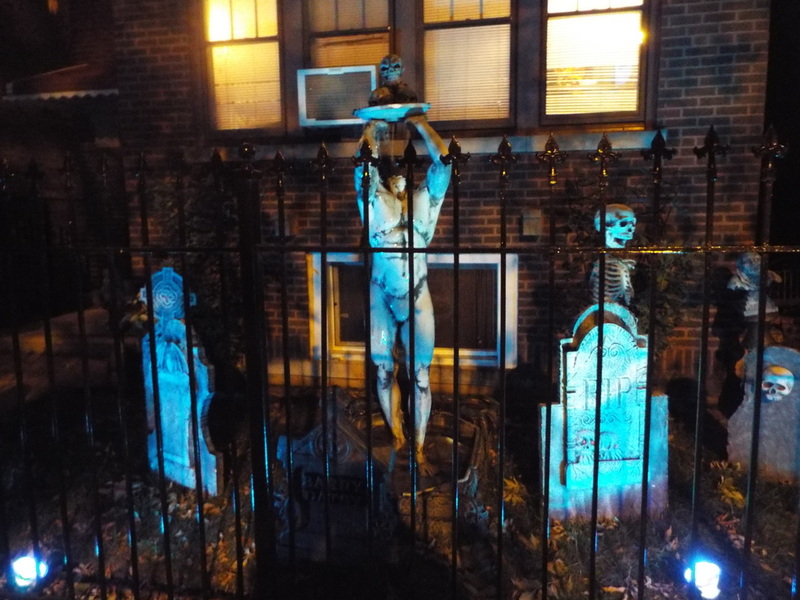 Primarily, this display consisted of a series of tombstones, including one that had a concealed animatronic skeleton behind it. 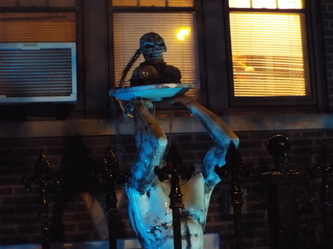 In the center of the display was a real status, minus its head, holding a platter on which sat a skeletal bust. 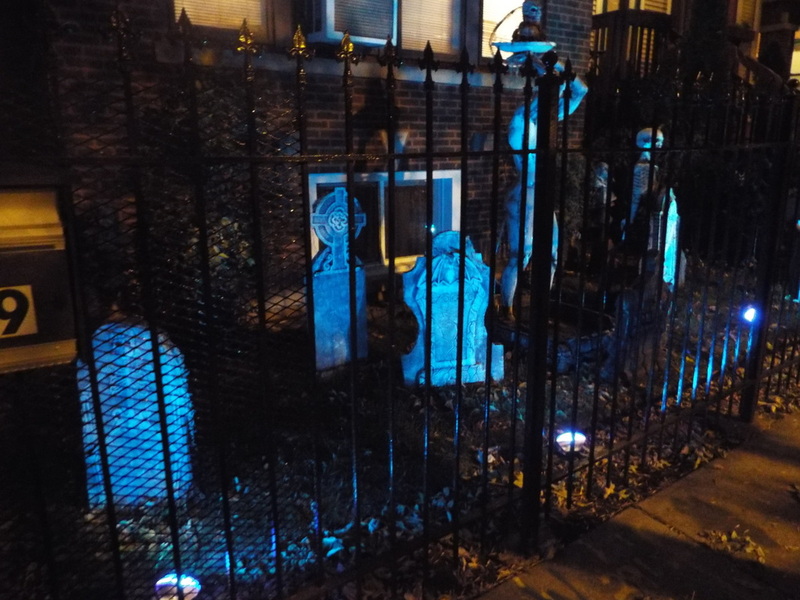 The entire thing was dripping with running water, and the whole display was bathed in some eerie blue lighting, music, and some lightning effects. 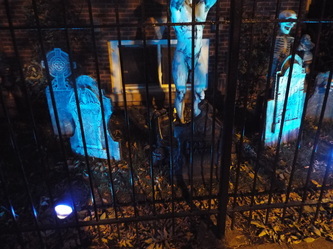 While we liked the lighting, music, and the lightning, and the status was certainly something we've never seen before in a yard display, there just was not a heck of a lot there, even given the lack of space. 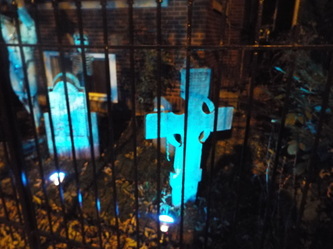 It was nice to see, but not something we'd make a special trip to visit. 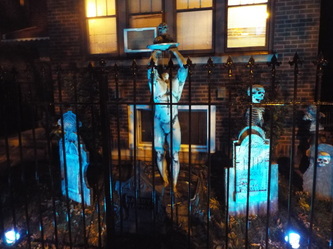 However, if you're in the area, drop by - it's worth a look just for the creepy headless statue.